"Contraband," the latest crime caper starring Mark Wahlberg, bears all the classic hallmarks of the "Last Job" genre: ex-criminal pulled backed in to the life, a gorgeous blonde, a screw-up of an in-law, a loose cannon, a turncoat, a geek, a token black guy... but no, it's not a re-release of "The Italian Job." 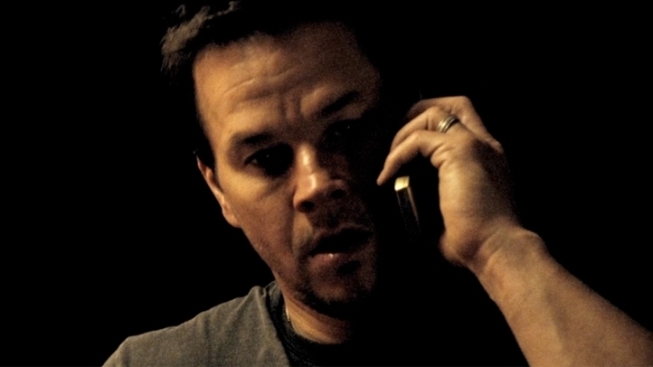 Wahlberg stars as Chris Farraday, a reformed smuggler with a wife (Kate Bechinsale looking eerily like Monica Potter) and two kids, who's found a new career installing home security systems (oh, the irony...). But when his no-account brother-in-law has to dump a package of cocaine that belongs to Tim Briggs (Givanni Ribisi), it's up to Chris to set things right. And. The only way to do that is to break a promise to his wife by getting the gang back together for a final run. It feels ridiculous to say "Contraband" is a remake, but it is, of the 2009 Icelandic film "Reykjavík-Rotterdam," which starred Baltasar Kormákur, who directed "Contraband." But really, it's just the latest entry in a long tired genre. We've seen this story so many times at this point, that for it to really payoff requires exceptional skill and execution, e.g. "Fast Five," a film so aggressive, audacious and ambitious that you could forgive its laughable dialog and brutal acting. "Contraband" doesn't fail for a lack of talent or effort on anyone's part. No, Wahlberg is his reliably likable self, Ribisi and Ben Foster (who's managing this kid's career?) are far better than your stock supporting crooks and Lukas Haas' magnificent career second act as a squirrelly thug continues. While promoting "Underworld: Awakening," Kate Beckinsale discusses her new movie with co-star Mark Wahlberg, "Contraband." So, what was it like working with Mark? Kormákur's action is textured and sharp, the story (mostly) makes sense, and the film almost manages to make you feel OK about the idea that crime does, in fact, pay. But there's no wow factor here, nothing that elevates the film above its standard conventions--the one time it looks like Kormákur has found the courage to break the mold, "Contraband" cheats back to the norm, leaving you feel doubly insulted.